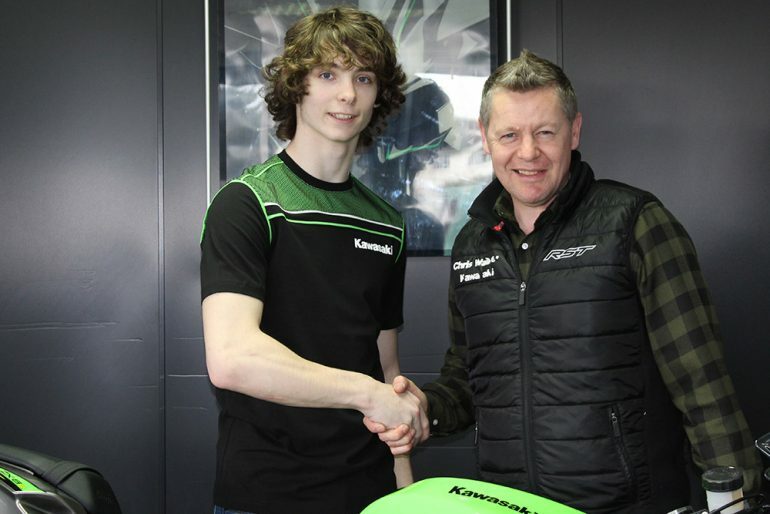 British Talent Cup champion Rory Skinner will make his debut in the Dickies British Supersport Championship this season, riding a Kawasaki ZX-6R supported by British Superbike legend Chris Walker. Walker’s Grantham based dealership, Chris Walker Kawasaki, will provide a new-for-2019 ZX-6R for Skinner’s privately run squad, as the 17-year-old from Perth prepares for his first full season in the British championships. Skinner will continue to run under the number 11 he used in 2018, and his family run team are now busily preparing the ZX-6R ahead of the official pre-season test, which takes place at Silverstone on April 9. Chris Walker added: “I’ve followed Rory’s career for a few years now and have been impressed not only with what he achieved in the British Talent Cup last year, but also in the few rounds he did on the ZX-6R in National Superstock 600. In many ways that actually stood out more to me, because to jump on one of these bikes and be right up there in the wet and dry showed great ability. Companies wishing to promote their brand through Rory’s 2019 campaign can get in touch through our Contact page, while a GoFundMe page has been set up for any individuals wishing to contribute to Rory’s racing fund and can be found here.